There is this pernicious philosophy that runs from the top of the AFT all the way down to the deep thinkers at Revive NYSUT. This philosophy has really flourished right here in our own UFT, where in 2005 we decimated seniority privileges and enabled a mayoral school-closing spree.We need to get a seat at the table. Otherwise they won't like us. Now, of course, when NYSUT President Richard Iannuzzi declares the IDC a detriment to progress, Revive ringleader Andy Pallotta detects "nothing negative" in their relationship with teachers. Who cares if they push bills that enable and promote charters at the expense of our public schools, our public school children, and our union members? We have to make nice. Then, maybe we can get invited to some gala luncheon after they take yet another step toward decimating union. And besides, if we don't support them, maybe they won't like us. Diane Ravitch says mayoral control is a tool so folks like Bill Gates, Eli Broad and the Walmart family can do whatever they wish. We've just lived through a decade of mayoral control. We've been to school closing hearings. We've stood with entire communities, people who spoke passionately about their schools. We watched Joel Klein and his minions play with their blackberries and ignore us. We watched almost every comprehensive high school disappear to be replaced by charters and little academies, often as not with no union presence. But we got our seat at the table. So, when mayoral control came up for renewal, we pushed for changes, failed to get them, and then supported it again anyway. Should we make nice with IDC so Rochester and Yonkers can experience the wonders of mayoral control? If we give it to them, maybe they'll like us. Let's invite Bill Gates to the AFT convention. So what if he turns around and condemns teacher pensions? So what if he starts a small school initiative, later admits it doesn't work, but we're still saddled with a bunch of small schools, likely as not basket weaving academies with no basket weavers. It's the thought that counts. Hey, let's participate in Bill Gates MET, measures of effective teaching. Then he can turn around and tell Arne Duncan to impose junk science on the entire country. When the abysmal and invalid results are out, Bill can write a column in the NY Times to deflect the blame. 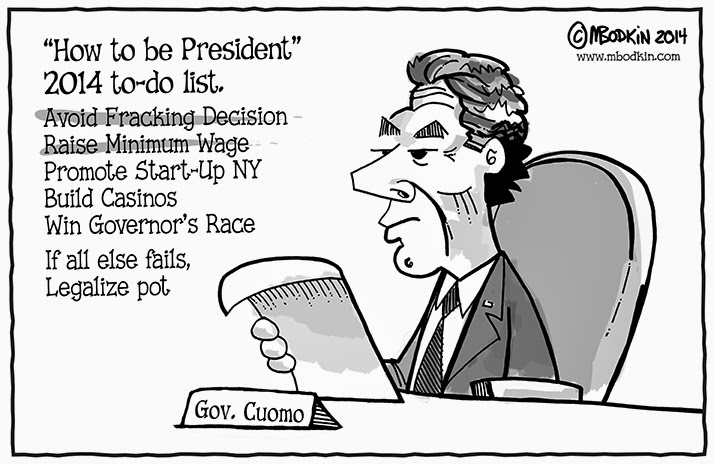 Let's get a seat at the table with Andrew Cuomo. We'll be good guys and sit out the endorsement. That way AFL-CIO can endorse him, since we didn't vote no. So what if Governor Cuomo imposes a crushing GEA that means less money for our kids? So what if he concurrently imposes a tax cap that makes it impossible to compensate for the GEA? So what if NO votes to kids count more than YES votes in NY State? We have a seat at the table. And he likes us. Here's the truth--Bill Gates is not an education expert. We are education experts. Andrew Cuomo is not a student lobbyist. We are student lobbyists. And they don't need to like us. They need to respect us, our students, and their parents. And they will never do that as long as we grant them unconditional support even us they fight us and everything we stand for.